Great news! The Art of the Carolinas 2010 brochures are out. They have been mailed, so if you are on our mailing list, you should see one in your mailbox early next week. Christina: Great job on the cover! Kim: Great job on the entire layout! Vendors: Thank you for the great prices and wonderful ads. 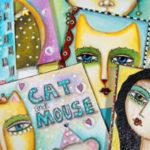 Artists: What a whirlwind of workshops you are offering this year! 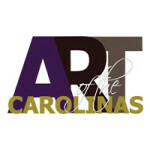 We hope you will come to the show and help us celebrate our 10th annual Art of the Carolinas. If you would like a brochure mailed to you, a friend or your organization, give me a call at 919-876-6610 or 800-827-8478 x 156 and weâ€™ll take care of you. Registration for the workshops is well underway, so if you want to sign up for your favorite instructors, do it now! All information is posted on our Web site, so feel free to check out what weâ€™ll be offering you this year.